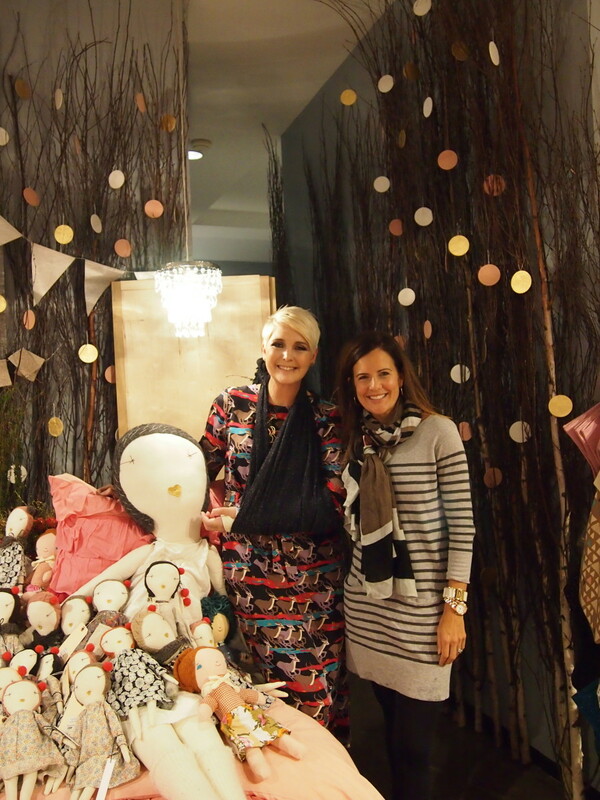 It was so fitting that it snowed the night of The Land of Nod&apos;s opening in NYC this week. From the looks of the shop, the North Pole and Santa&apos;s Workshop was definitely an inspiration. 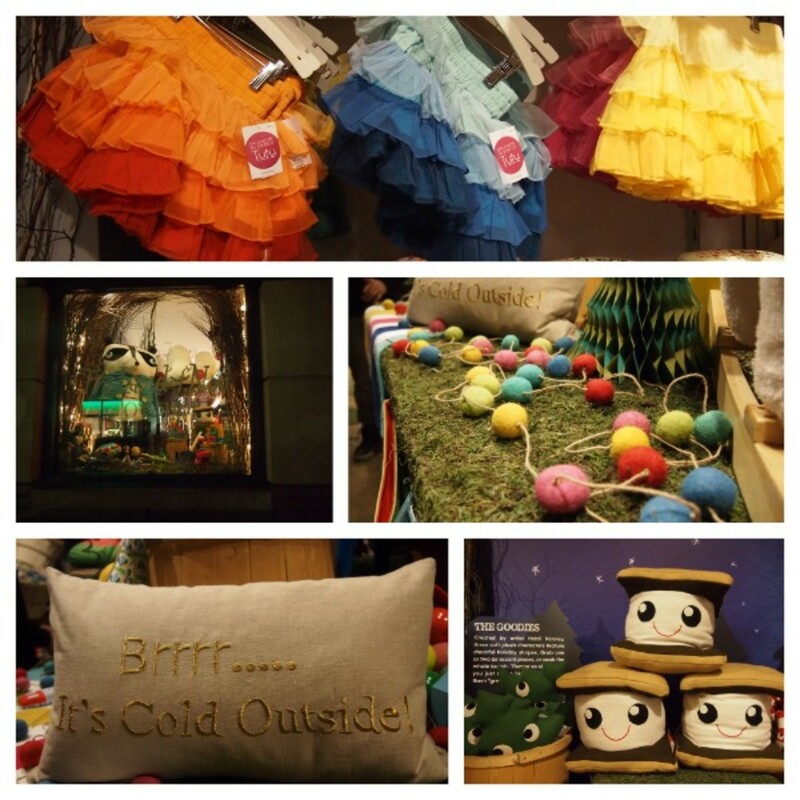 The Land of Nod pop-up Holiday Toy Shop, located on 136 Prince St. in SoHo, opened to shoppers today. I got to take a peek inside the 3,200 square foot shop before the crowds arrived. The store is a little enchanted forest. Sparkly holiday lights are hung on the ceiling to add a cozy vibe. The store mostly focuses on gifts, though you&apos;ll find some decor there. But really, it&apos;s all about the playthings. 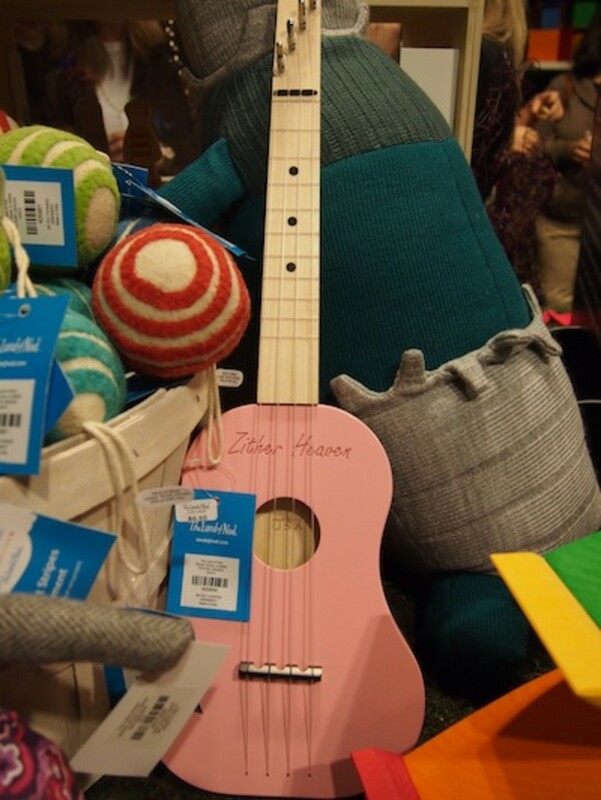 On of my favorites being this great pink guitar. It&apos;s all about being unplugged. These toys celebrate the imagination. From wooden clean up sets to handmade dolls, you can quickly take care of all the items on your holiday list at this charming spot. But it&apos;s not all about shopping. The store will also host a series of crafting events for kids with phenomenal artists (we will post the weekly calendar on Momtrendsnyc.com every Friday--click here to see this weekend&apos;s events). &apos;??I&apos;? ?m so excited to bring the Holiday Toy Shop to life,&apos;? says The Land of Nod&apos;? ?s Managing Director, Michelle Kohanzo. I got a chance to talk to the retail mastermind during the event. She&apos;s got four kids of her own and a fantastic style. Check out her reindeer dress! When I asked about her top picks for the holidays she gravitated to the dolls. Momtrends is thrilled to be sponsored by The Land of Nod.